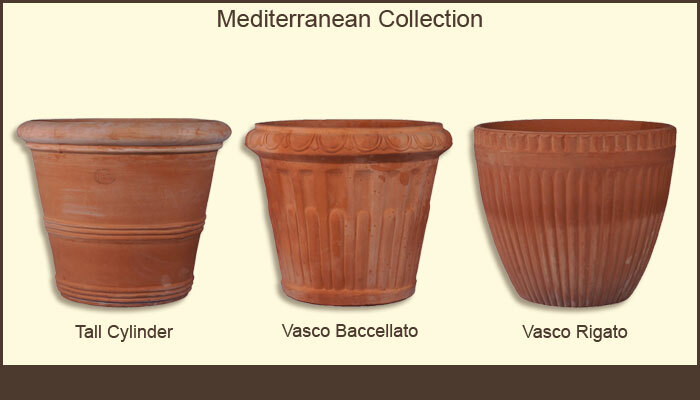 Our containers include an eclectic assortment of natural elements from woven baskets to wooden Indonesian boxes and soft-hued Italian Terracotta pots in many shapes and sizes. 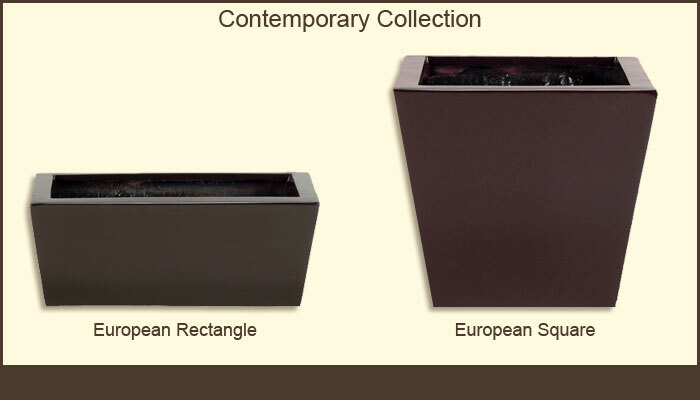 To dramatize a commercial setting, our High-Tec Fiberglass and metallic containers will enhance a more contemporary design. 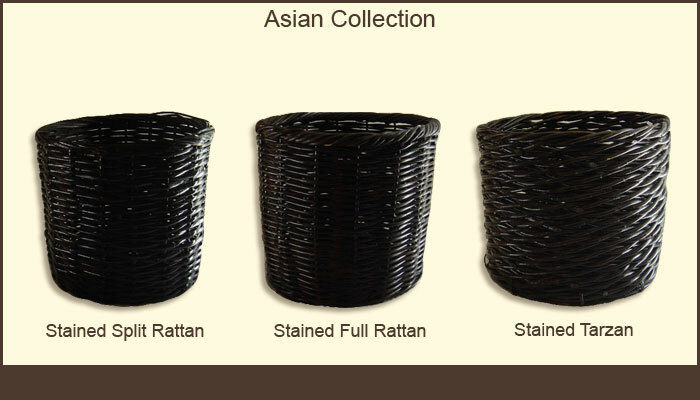 Whether your project is residential or commercial, count on us for that perfect finishing touch. 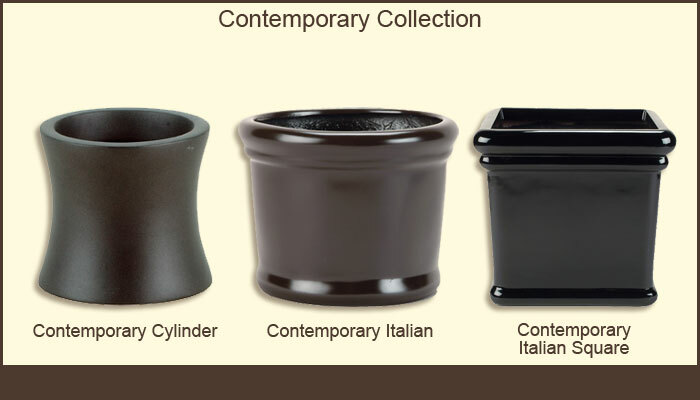 We invite you to browse through our catalogue to see just a small sampling of these unusual containers. 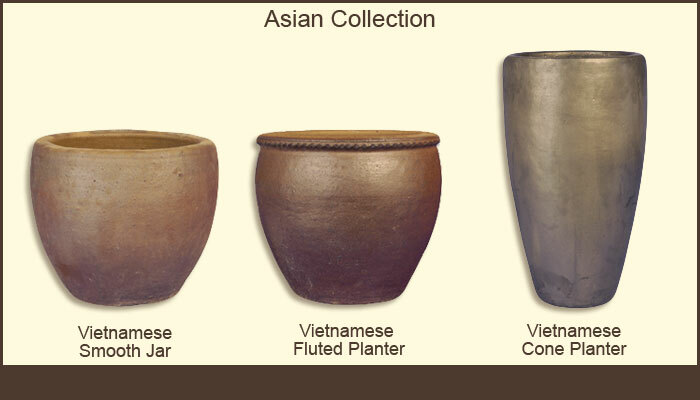 Asian Collection - highlights the earthy pottery of China, Vietnam and Indonesia. 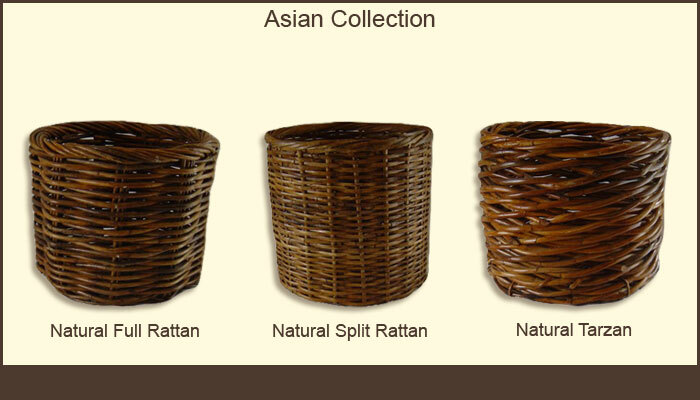 Note also the lovely woven basket lines we've obtained from the Philippines. 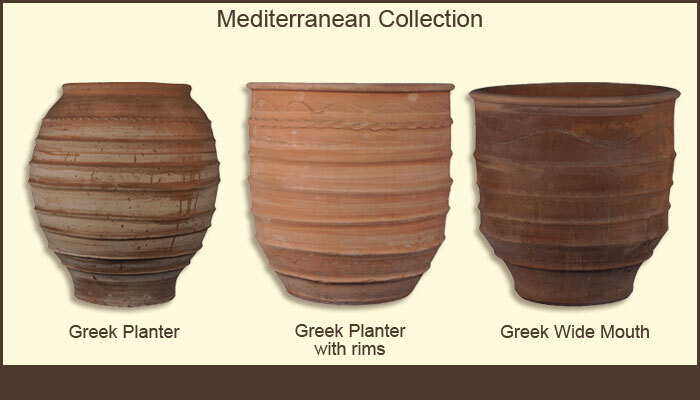 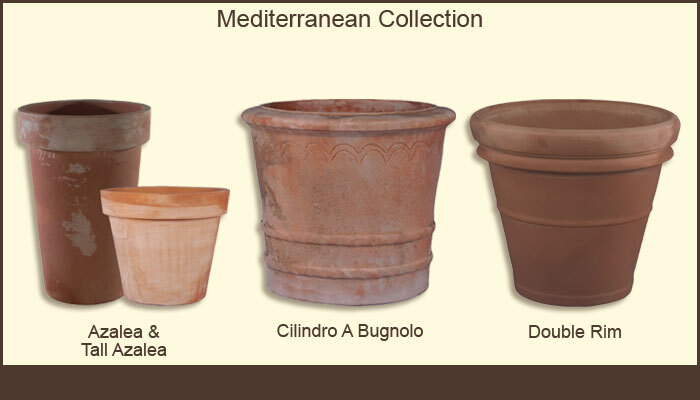 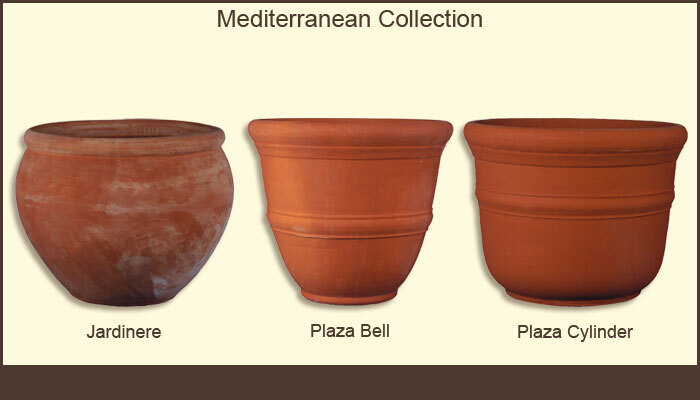 Mediterranean Collection - gathers classic shapes and styles from Italy and Greece. 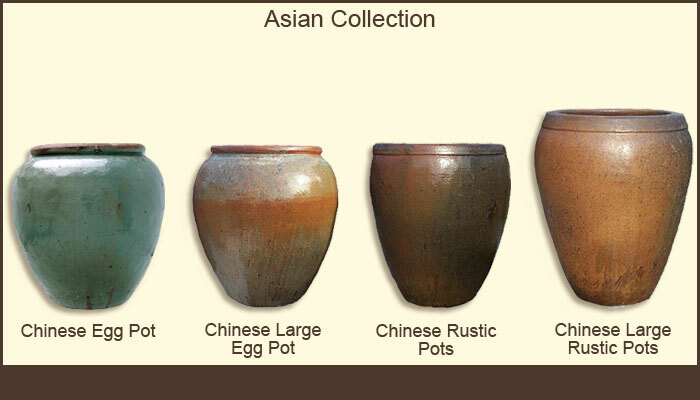 We will custom finish any of these pots to complement your décor. 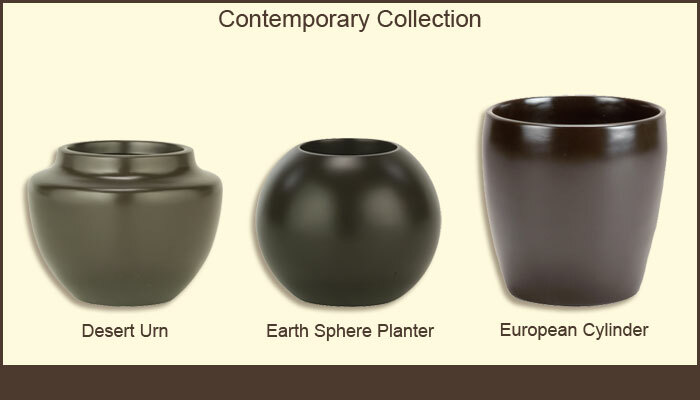 Contemporary Collection - offers sleek lines and an unlimited palette of colors. 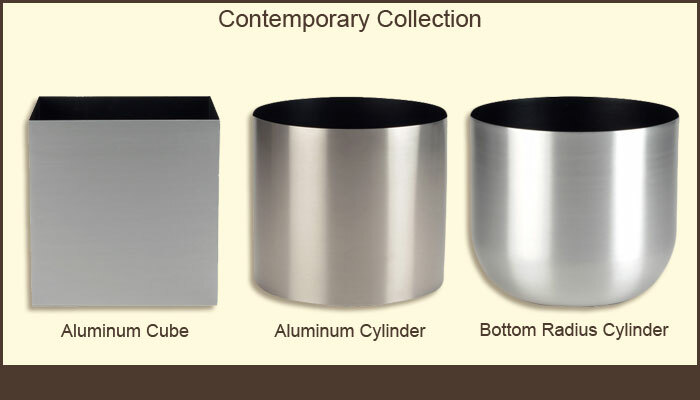 Made of Fiberglass and metals, these containers will accentuate the flair of your office and commercial interiors.